This was, for me, a very enjoyable read. 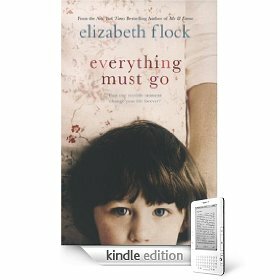 Everything Must Go is the story of Henry Powell, an Everyman whose life (like that of the narrator-sister in Therese Walsh’s The Last Will of Moira Leahy) has been touched and battered by a family tragedy. Henry’s parents blame him for that tragedy and so he’s forced to put aside the life he otherwise would have led. Henry’s an all-state star high school football player who receives an offer to play for a big-time college. But it’s not to be as he is called home to take care of his unemployed father and sickly mother. Henry has to make do with a “temporary” job working in a men’s clothing store. Even after he moves into his own apartment and works full-time at the store, he’s still forced to take care of his mother each evening. Life goes on as normal until Henry happens to meet the girl of his dreams, Cathy. She seems to really like Henry until she meets his mother and then rushes to get away. Yes, Henry’s mother has secured a measure of revenge for what she views as his role in the family’s deadly accident. As the clothing store eventually is set to close (to be reborn as a Restoration Hardware site), Henry becomes aware that his life has come to make sense. It’s time for him to move on, even if he’s not sure where the rest of his life will take him. He’s gained confidence in his fate and is willing to let the past go. As the sign says in the window of the clothing store, EVERYTHING MUST GO. A charming and calming story is so very well told by Elizabeth Flock. There are many very nice touches in the telling of the tale that future readers will enjoy discovering. Let it be said that Flock does not depend on implausible events or loud explosions to tell her story. She simply chronicles the story of an average person’s life in an above average way. Good to meet you Joseph. thankyou for visiting my blog and leaving your comments on my review for EMG. It is interesting to read your completely different viewpoint. Life would be very dull if we all enjoyed the same things. I also believe that time and place often has a strong bearing on our reactions to a particular novel. For anyone interested in an alternative opinion I have copied the link.